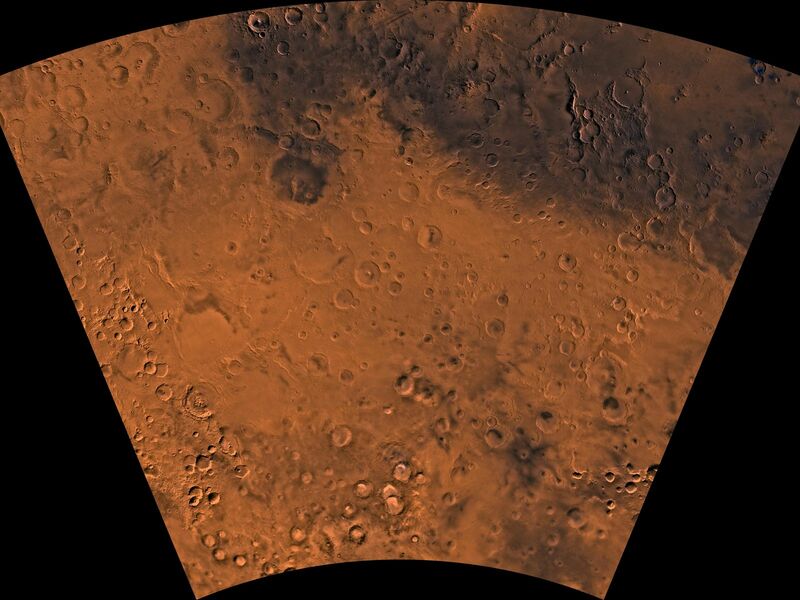 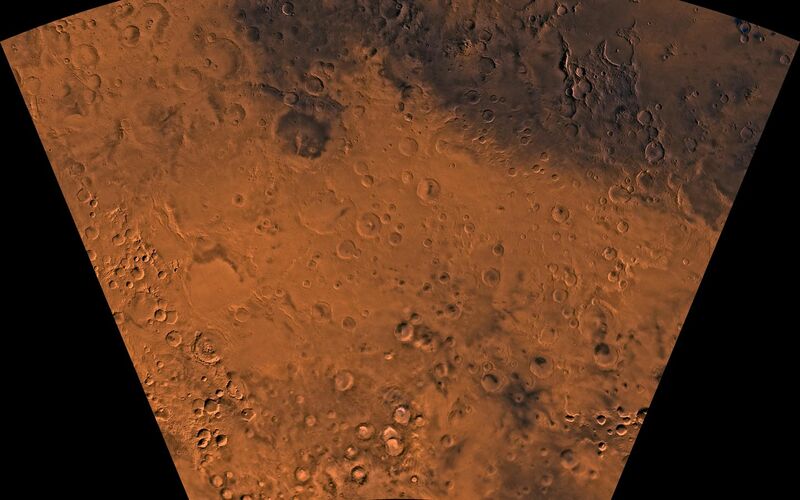 Mars digital-image mosaic merged with color of the MC-24 quadrangle, Phaethontis region of Mars. 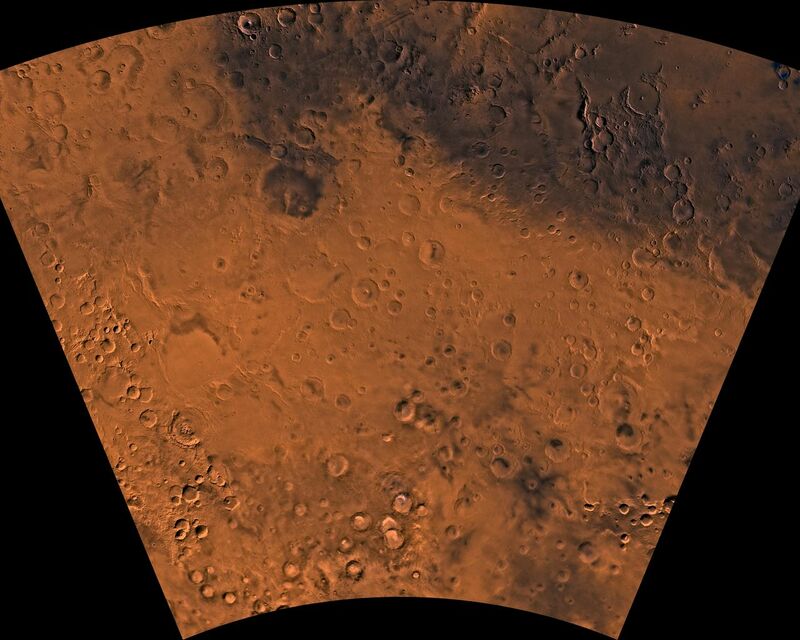 The Phaethontis quadrangle is dominated by heavily cratered highlands and low-lying areas forming relatively smooth plains. 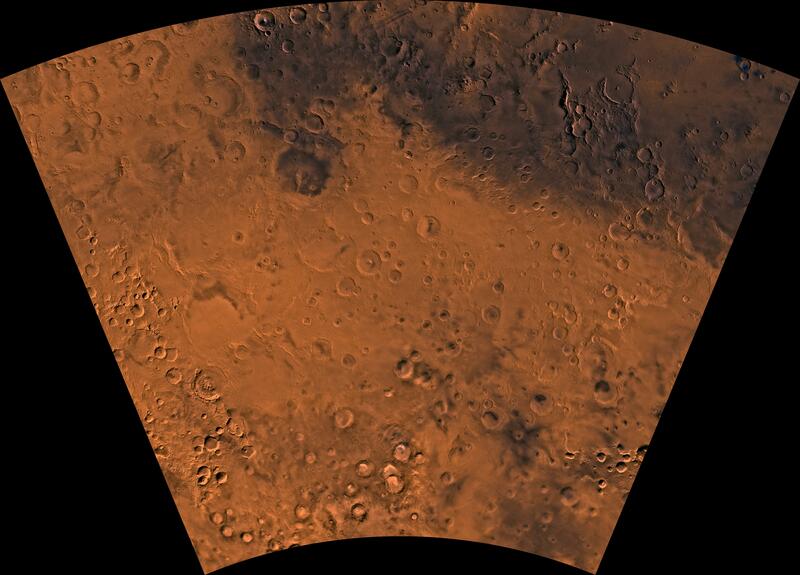 Latitude range -65 to -30 degrees, longitude range 120 to 180.